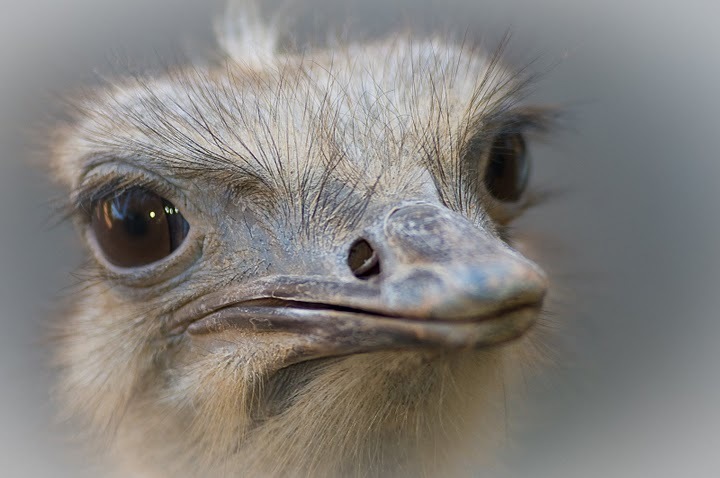 The ostrich is sometimes called the “camel-bird,” because it is so very large, because it can go a long time without water, and because it lives in desert and sandy places, as the camel does. It is often taller than the tallest man you ever saw, and it neck alone is more than a yard in length. Each of the wings is a yard long when the feathers are spread out; but although the wings are so large, the bird cannot fly at all. One reason of this is, because it is so very heavy, and another is that its wings are not of the right sort for flying. They are made of what we call ostrich-plumes, and if you have ever noticed these beautiful feathers, you will remember that they are very different from others that you have seen. If you take a quill from the wing of a goose, you will find that the parts of the feather lie close together, so that you cannot very easily separate them; but in an ostrich plume they are all loose and open, and would not support the bird at all in flying. The feathers are generally either white or black. There are none under the wings, or on the sides of the body, and only a few small ones on the lower part of the neck. The upper part of the neck, as well as the head, is covered with hair. When she lifteth up herself on high she scorneth the horse and his rider. 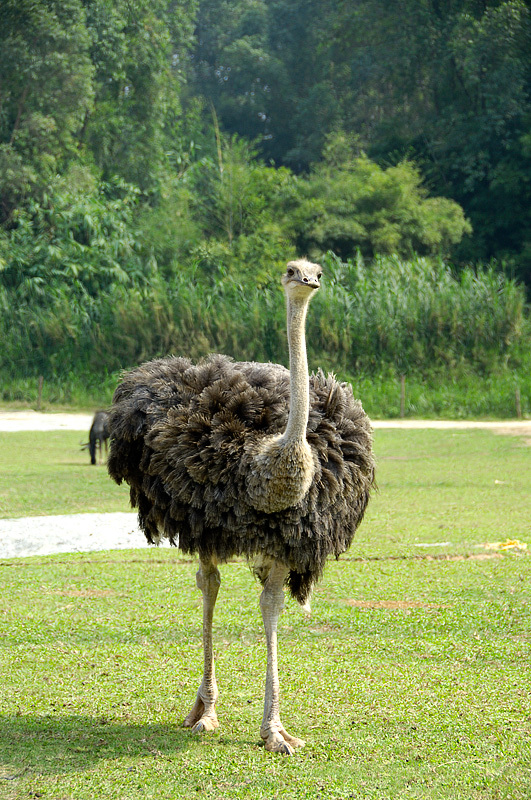 I will make a mourning like the ostrich. See how well this agrees with the accounts given by travellers. 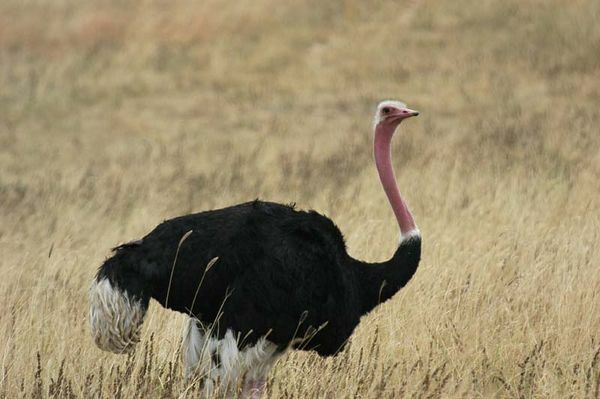 They say that the ostrich is frightened by the least noise, and runs away from her nest, leaving the eggs or young ones without any protection; and very often she does not return for a long time, perhaps not until the young birds have died of hunger. The eggs are cream-colored, and large enough to hold about a quart of water. The shell is very hard, and as smooth as ivory. It is often made into a drinking-cup, with a rim of gold or silver. This entry was posted in Bible Birds, Birds, Birdwatching, Christian, From The Past, Guest Writer, Kid's Section, Various Things and tagged Birds of the Bible, Harriet N Cook, Home School, Ostrich, Scripture Alphabet of Animals. Bookmark the permalink.